Are you still fit to drive? While this page is more relevant to older drivers, the concepts apply to all licence holders regardless of age, and especially to drivers who have any kind of physical or mental health impairment. Driving a motor vehicle is a responsible undertaking. The safety of other people depends on your fitness to drive. Various health problems may affect us from time to time. As we get older the risk of developing a medical condition that may affect our ability to drive increases and we may notice deterioration in both physical and mental abilities. If you feel at any time that you are not in a fit state to drive, then DO NOT DRIVE. If you feel that your health and general fitness are not sufficient to continue driving, you should consult your doctor. The Registrar of Motor Vehicles has an obligation to ensure that all drivers are medically fit and able to drive competently and safely. Both you and your doctor are also required to report any medical condition that could affect your ability to drive a motor vehicle safely to the Registrar of Motor Vehicles. If you are required to complete an assessment on your fitness to drive, you will be informed by your medical practitioner or you will receive a notice in the mail. If you receive a notice regarding your driver’s licence you must act on the request in that notice by the due date or your licence may be suspended. Your fitness to drive is assessed in accordance with the national guidelines “Assessing Fitness to Drive” published by Austroads. For information on fitness to drive assessment, or to report a medical condition please contact a Service SA customer service centre or call 13 10 84. There are a wide range of medical conditions, or combinations of medical conditions, that can affect your fitness to drive. Some of the most common are listed below. Eyesight – loss of vision acuity and vision fields e.g. monocular vision or visual defect. Eye disorders such as glaucoma, cataracts, macular degeneration are medical conditions that will require a medical assessment. If you need to wear glasses or contact lenses whilst driving this will be recorded as a condition on your licence but it is not a medical condition that will require a medical assessment. You are required to declare any medical conditions when you apply for or renew a driver’s licence in South Australia. You may also be required to undergo the following assessments. you are aged 70 or older and hold a licence for a class of vehicle other than a car, e.g. heavy vehicle or motorbike. If you hold a class MC (multi-combination) licence and drive certain road trains and B-triples, or on particular routes, you may be required to be medically examined at regular intervals regardless of your age or whether or not you have a medical condition recorded against your licence. Refer to www.sa.gov.au for more information. You will be sent a self assessment annually in the mail to complete from the age of 75 years if you hold a class “C” (car) licence only and you do not have a medical condition. 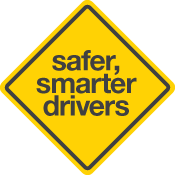 The self assessment enables drivers to self assess their fitness to drive. It is designed to be completed independently, however if you answer yes or are unsure of any of the questions you will need to visit a doctor to complete the assessment. The self assessment will be sent to you around the time of your birth date and is designed to help you to think about your health and how it may impact on your ability to drive safely. You can also complete the self assessment process online via EzyReg Account. You will need to create an account before you can access this transaction. Information on creating an account can be located here. You will need to take a practical driving assessment if your medical practitioner feels it is necessary to help determine your fitness to drive. The driving assessment consists of a short drive of about 30 minutes; it is not the same as the test that new learner drivers undergo to obtain their provisional licence. Drivers are recognised for their experience and previous driving record. The practical assessment primarily looks at the ability of the driver to control the vehicle and demonstrate safe driving on the road in light to medium traffic while complying with the road rules. Unless there are exceptional circumstances where extreme danger occurs due to poor vehicle control, drivers referred by their doctors for a practical test are given at least two (or more) attempts at the driving assessment. From the age of 85, if you hold any class of licence other than “C” (a car licence) e.g. a truck or motor bike, you will have to do an annual practical driving test. Car class licence holders are not required to have a practical driving assessment. If you no longer want to continue to drive, or you think you are no longer fit to drive, you may either return your licence to a Customer Service Centre in person or send it by post to GPO Box 1533, Adelaide SA 5001, with a letter stating your decision. You will receive a refund for the unexpired portion of the licence. If you hold a licence for a class of vehicle other than a car, e.g. a motorcycle, truck or a bus, and you no longer need this class of licence, you can downgrade your licence to a class C (car). You simply advise a Customer Service Centre of your decision and arrangements will be made to issue you with a new licence. Do you still want to drive? Some drivers know when to stop driving. They feel increasingly uncomfortable, both physically and emotionally, when driving. Driving has become an ordeal instead of a pleasure and they realise that they could possibly be a danger to themselves, their passengers and other road users. Free workshops are available to help inform drivers about issues facing older drivers, motorised mobility scooter safety, public transport and other alternatives to driving. For more information, please contact the department or visit the "Moving Right Along" website. If you’re not 100% sure, talk to a family member or someone you know. As we get older a time may come when we can no longer drive safely. It is therefore a good idea to find out as much as you can about other means of transport. Some more hazardous or unfamiliar trips might be better undertaken by alternative transport rather than driving. Department of Planning, Transport and Infrastructure. Choosing to use alternative transport compares favourably to the annual cost of running a car, especially when transport discounts and concessions are taken into account. Often using alternative transport is less stressful and more convenient, especially when travelling to major shopping centres or to the city of Adelaide.